Like all moms, it saddens me whenever I have to leave Rain in someone else's care. But life is tough and so we gotta do what we gotta do. Like whenever I have to attend some events on The Pickiest Eater's behalf. But besides my experience on these events, one of the things I look forward to is "Me" time. 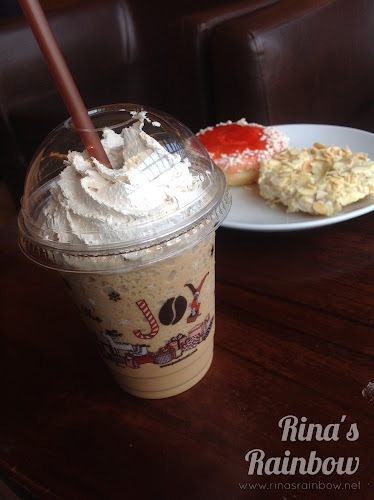 If I am early for an event (which is almost always the case), I kill time in a coffee shop and try to blog. It's my only other blogging time (besides when Rain is asleep at night). I like hanging around in coffee shops wherein I can stay as long as I want and do my thing without being frowned upon. Usually I go to Coffee Bean or Starbucks, but last week while I was at Greenbelt 3, I decided to hang out at J.Co's. I remember how much I loved their Alcapone but since my frame of reference was months ago when it first opened (I had only been there that one time) , I had already forgotten what it tasted like. And so I decided to refresh my memory. Here are my final two choices (after debating for 10 years). Alcapone and Berry Spears. I took a bite of the Alcapone first, and then it all came back to me. Why I loved it so much. It was really delicious! I particularly love the crunch of the almonds. The white chocolate was not too sweet too! Just perfect for me! Anyway I decided to put the Alcapone down and eat the Berry Spears first. Saving the best for last. The Berry Spears was as delicious as it looked. Creamy strawberry jam (was it jam?) with hints of cheese in each bite. 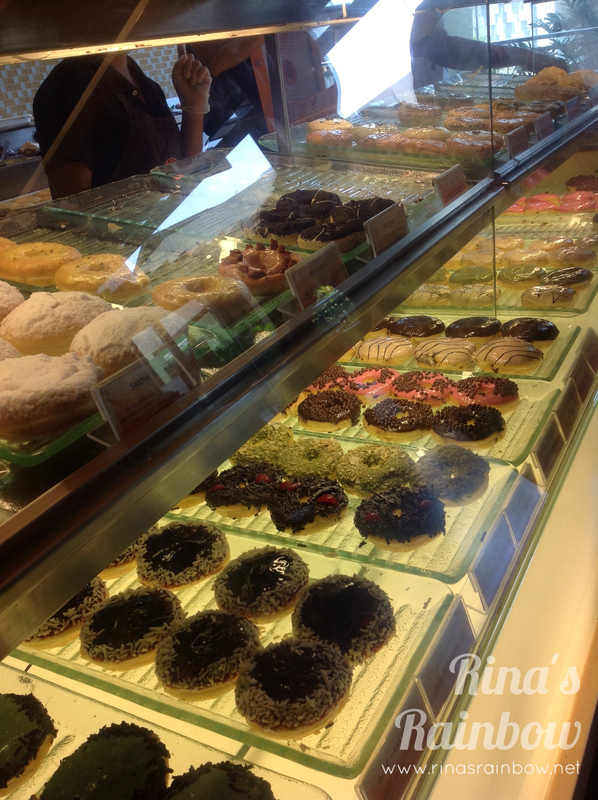 (My mouth is watering now) These donuts can be messy to eat. I wish they had forks available. Then again maybe they had and I just didn't check. Anyway it's more fun to eat them with your hands.I'm babbling sorry. I accompanied my two little friends with a cup of Uno Cappuccino Frap, which I fell in love with! Because the sweetness was just perfect! I don't like drinks that are too sweet. This one tasted just like cappuccino (duh) blended in ice. I think this will be the start of a beautiful and long friendship! I will be back for you! 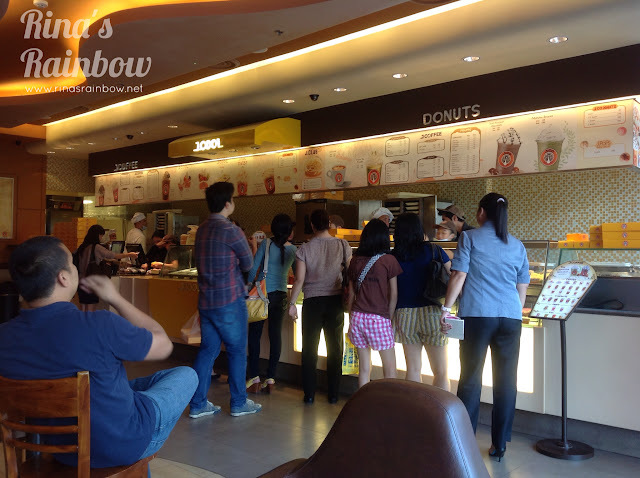 Waiting for the day 'till I get a chance again to spend some "me" time at J.Co's. Share your favorite "me" time place too! I hope you'll visit it too, Rina! Nako my manicure / pedicure needs are long overdue! So yeah i also hope I have time to visit there too hahaha! 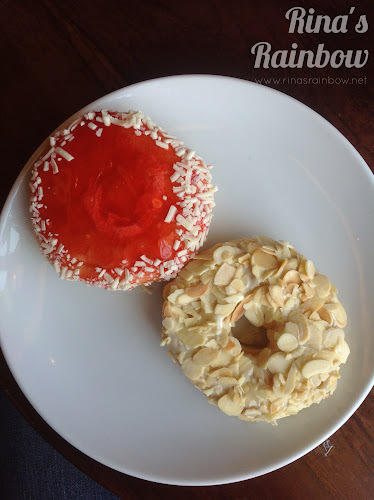 Fave ko J.Co!!! 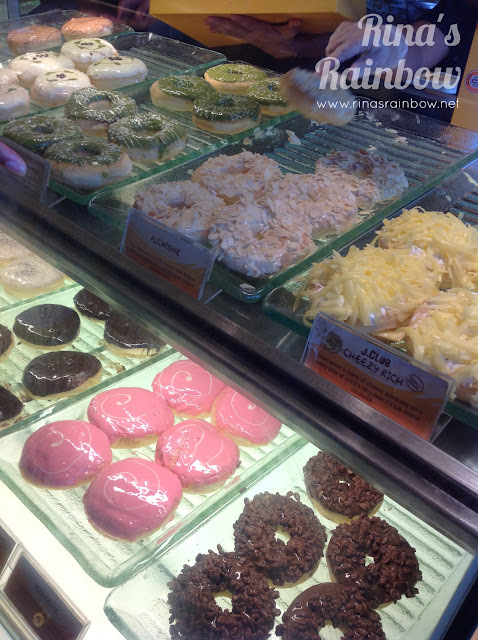 Love their Green Tea donuts! I shall try! :-) Sounds good! Sa next "me" time ko hehehe :-) Craving tuloy hahaha!